Summer continues to be typically North Atlantic here in Scotland; cool, cloudy and damp so the greenhouse is invaluable for good crops of heat loving plants. Apparently growing under glass is the equivalent of growing 500 miles nearer the equator. Peppers and tomatoes are doing well, as are the greenhouse cucumbers (Emilie F1 all-female variety), all in Air-Pot containers. 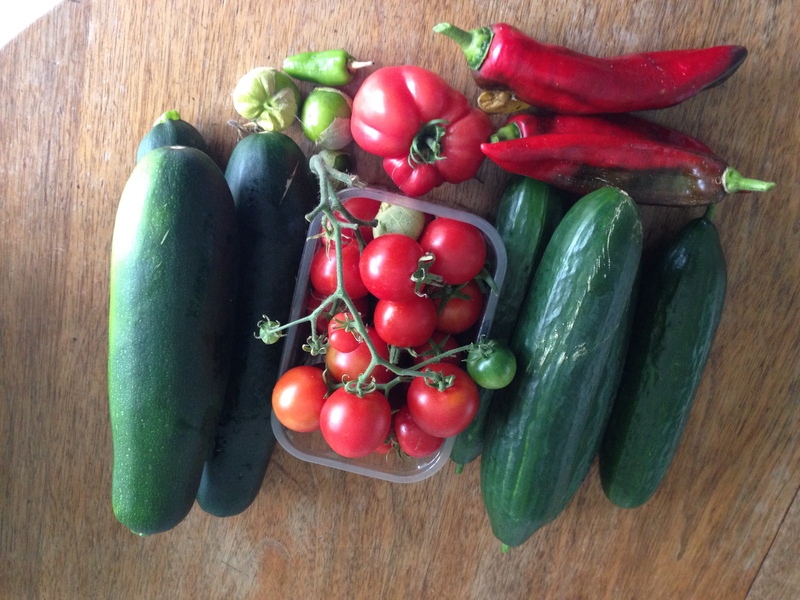 I also started outdoor (ridge) cucumbers and gherkins some of which have been planted in the ground, but others which stayed in the greenhouse in pots are much bigger and are yielding nice little fruits already. 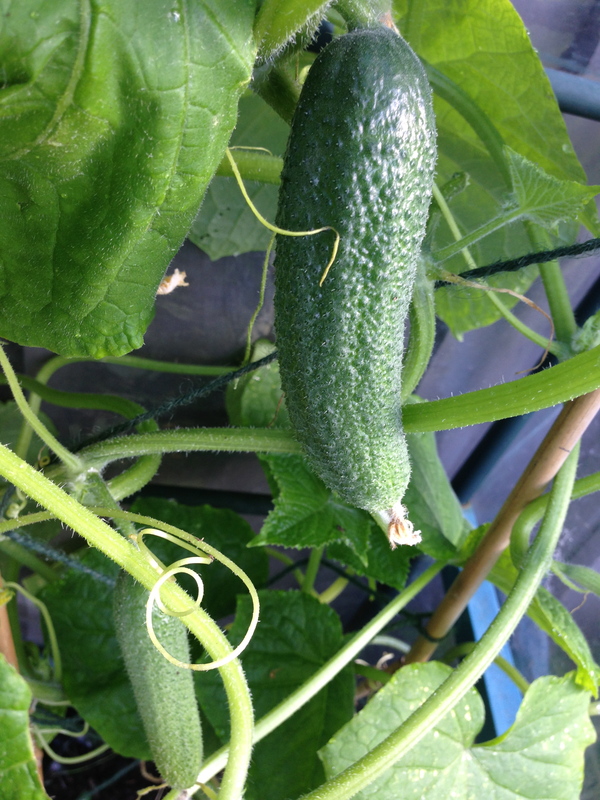 I believe outdoor cucumbers should not be allowed to flower near the all-female greenhouse types in case the male pollen turns the females bitter! 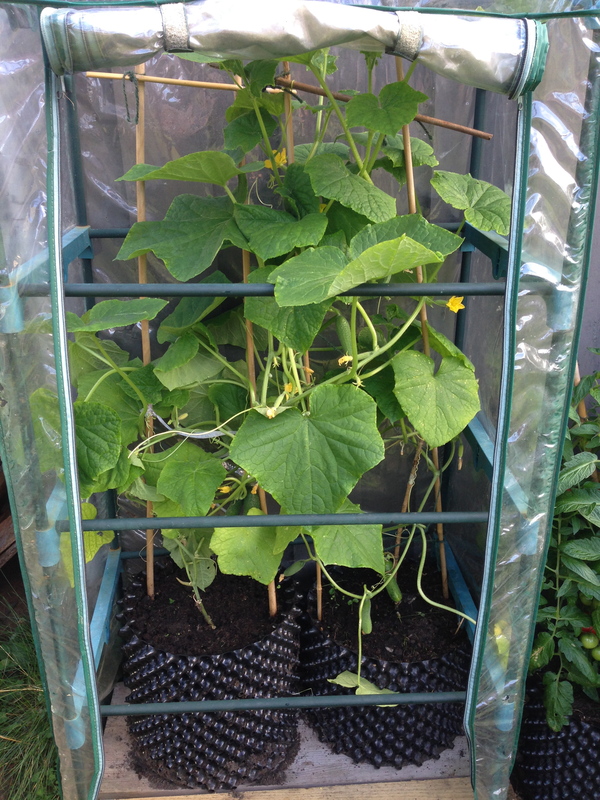 So two gherkin plants have been banished to a mini polythene greenhouse where they can scramble up canes flowering promiscuously without fear of tainting the delicate ladies. The front of the plastic greenhouse can be rolled up allowing air and bees to circulate, and the front zipped down at night when it turns chilly. 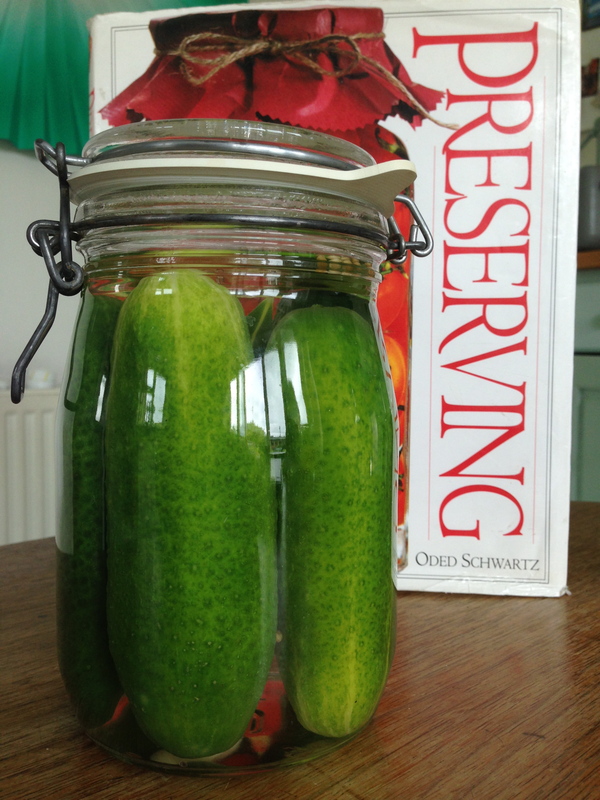 I already have a jar of gherkins in brine starting to ferment and expect to have enough gherkins for many more, the fermenting in brine method gives a lovely tangy taste like the Polish “Krakus” dill cucumbers. I blanched the gherkins, put them into the jar with garlic, chilli and herbs, then poured over hot brine (3 tbs salt per litre), after two weeks the cloudiness of the ferment should clear and they are ready to eat.